Tiffin, Ohio – The 2011 baseball season has come to a close for Heidelberg University with a host of honors from the American Baseball Coaches Association (ABCA). The ABCA announced its 2011 All-Americans and Golden Glove honorees in conjunction with the NCAA Division III Baseball Championships. Landing a spot on the ABCA All-American Third team was senior short stop Jason Lash (Strongsville, Ohio / Strongsville), senior closer Andy Lowe(Fort Wayne, Ind. / Carroll) and junior right fielder Ricardo Lizcano (Toledo, Ohio / Roy C. Start). Honored as Golden Glove recipients were Lash and sophomore catcher Jordan Martin (Powell, Ohio / Olentangy Liberty). Lash is picking up his second All-American honor of his career. A season ago he was named to the ABCA All-American Second Team. In his final season at short stop Lash was named to the Mideast Region and the Ohio Athletic Conference First Teams. It was the fourth straight year he was named to the OAC First Team and third time he landed on the Mideast Region First Team. His Golden Glove honor is the first of his career. For his efforts in the classroom he was named to the Capital One Academic All-District IV First Team and the Academic All-OAC First Team. Lash was just the second player at the Berg to earn first team academic recognition from the conference and the first to earn academic all-district honors on three occasions. At the plate, Lash was second on the team with a .369 batting average. He led the way with 20 doubles and was third with 66 hits and 46 runs scored. Defensively he boasted a .961 fielding percentage and helped to turn 34 double plays. 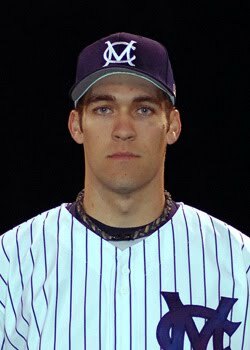 KENOSHA, Wis. — The National Collegiate Baseball Writers Association named Marietta College junior Brian Gasser (New Philadelphia/Indian Valley) its NCAA Division III Pitcher of the Year. Pioneer senior center fielder John Snyder (Altoona, Pa./Altoona) also represented the national champion Etta Express as the NCBWA Mideast Region Position Player of the Year. Marietta, under the direction of eighth-year Head Coach Brian Brewer, captured the program’s record fifth national title with an 18-5 victory over Chapman University May 31 in Grand Chute, Wis. The Etta Express finished with a nation's best 47-4 record. It was Brewer's second championship as the Pioneers also won the crown in 2006. The first three national championships were won under legendary coach Don Schaly in 1981, 1983 and 1986. Gasser was also voted the American Baseball Coaches Association (ABCA) Co-Player of the Year, D3baseball.com Pitcher of the Year, NCBWA Mideast Region Pitcher of the Year, ABCA Mideast Region Pitcher of the Year and Kent Tekulve Ohio Athletic Conference Pitcher of the Year this season. He led the nation with 14 wins in 15 decisions while ranked fourth with a 1.06 ERA and 14th with 89 strikeouts. Gasser, who also ranked sixth in hits allowed per nine innings (5.31), gave up just 11 earned runs on 55 hits in 15 games, all starts, over 93 1/3 innings. Snyder earned ABCA and D3Baseball.com All-America, ABCA Mideast Region Player of the Year and Jack Rafeld OAC Player of the Year honors in 2011. Snyder, who led the nation with 86 hits in 190 at-bats, also ranked fourth with 63 RBI, ninth with 21 doubles, 12th with a .453 batting average and 32nd with 51 runs scored. Snyder's 21 doubles tied him for second on Marietta's single-season list and gave him 48 for his career, which tied for fifth all-time.